Scientists for Global Responsibility ran its second Science4Society Week from 14-20 March 2016, providing a wider range of inspirational, thought-provoking and entertaining education activities and events. The aim of the week was to help students think critically about the role of science, design and technology in our society, as well as providing numerous examples of how a positive contribution can be made to environmental sustainability, social justice and peace. S4S Week provides a platform to stimulate and support teachers, students and even parents and encourages any school or young person to participate in our competition, visit interesting and stimulating ‘real-life’ projects and experience engaging lessons using our range of downloadable materials. New for this year was a competition to ‘Design an Eco-Community’ which generated a number of creative and innovative responses. 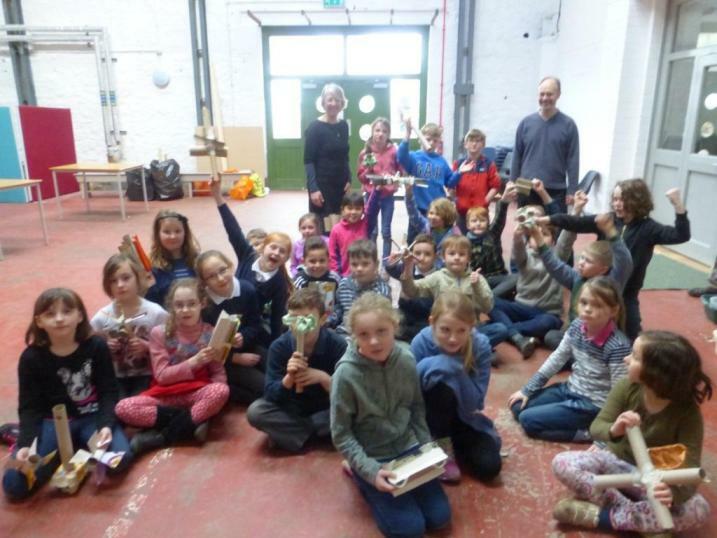 These teams were treated to a VIP visit to a real eco-community, Lancaster Cohousing. The competition gave the entrants the chance to design eco-homes, and to explain why they had used particular styles and methods. They were also asked to consider energy sources, waste, travel, food and how to encourage community. Their ideas included small-scale renewable energy sources such as hydro-power, solar panels and bio-energy – and even a piezo-electric dance floor – as well as innovative building designs, from simple ‘cob houses’ to more high-tech options. Teams researched the environmental performance of different building materials. They also considered street layouts that enabled easy access for all, including increased use of cycling, walking, buses and electric cars, as well as different ways of encouraging social interaction. 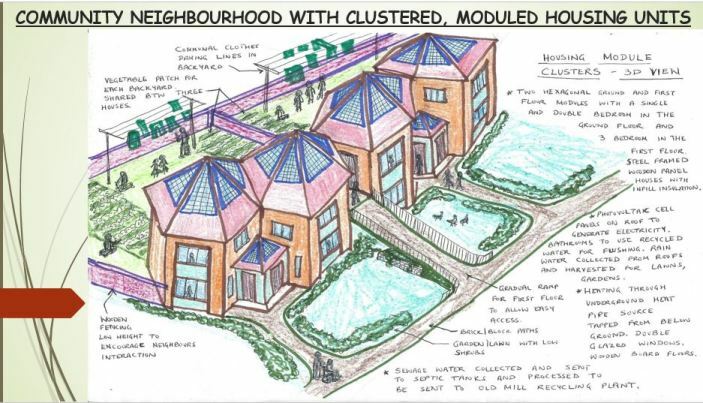 In creating their designs, some students carried out laboratory experiments using model renewable energy technologies, while others used drawing software to design their eco-homes. The second element of S4S Week 2016 was the facilitation of visits of groups of students from primary schools, secondary schools and universities to inspiring real-life projects. 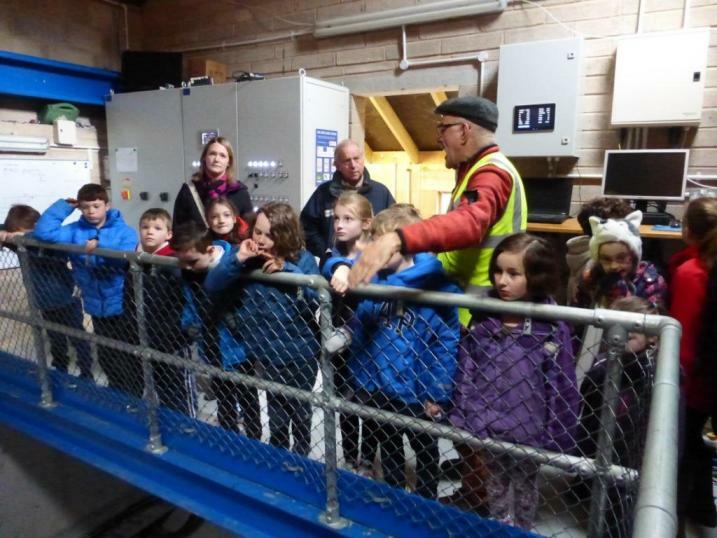 SGR hosted visits from over 100 young people to Lancaster Cohousing – which includes high specification eco-homes, solar photovoltaic panels, a biomass/ solar district heating system and a range of innovative schemes for sharing household resources – together with Halton Lune Hydro, a nearby community renewable energy project. Our online teaching resources were markedly expanded this year, with over 70 individual classroom exercises being made available for download. These were grouped into a series of categories, including: energy; water; food; industry and manufacturing; buildings; transport; and healthcare. Teachers accessed and downloaded resources for a range of lesson types – including debates about ethical science issues, problem solving activities and practical sessions. At least 750 lessons using our materials took place. S4S Week 2016 was funded by (in alphabetical order): Lush Charity Pot; Martin Ryle Trust; and Scurrah Wainwright Charity. We are very grateful for their contributions. Unlike many science education events run by larger organisations, we received no funding from the arms or fossil fuels industries. Science4Society Week 2017 will offer more activities, more challenges and a new competition. Details will be announced soon! Dr Jan Maskell is vice-chair of SGR and co-ordinator of Science4Society Week. She is a chartered psychologist and holds a PhD in educational studies.